More than 10 years of using POSER, i never found a tool of this kind (at least not so simple and handy), when a lot of character creators dreamed of it. The aim is to give the possibility to transfer morphs of your preferred character to a new figure with the same geometry. You spent hours to create a superb V4 with custom morphs using your morph tool or with specific morphs only available on a cr2 (ex : Morphia and its CDI Morphs, POSEIDONTECH dolls, PrettyBaseIV, ThornsWorks Teens, Alfaseed Alices, ...). And now you cry because you see this nice Weigth Mapped V4 from Karina and you don't know how to transfer your existing characters on SASHA-16. But now you will be able to do it. You will be able to combine any figures with the same geometry and transfer your custom morphs easily. What these scripts do ? You will be able to copy deltas morphs from 1 figure to another in the same scene. What can you copy/paste ? It's fully (consider this as the fact you can pick several combination of morph type) configurable via an text file. The dependent morphs/parameters will be automatically added to a maximum of 2 levels. + All Nailength(s) morphs with deltas on each tip fingers on rHand and lHand. - Script will not recreate morphs/parameters and dependencies if the morphs already exist on the target figure. Existing morphs/parameters will be left untouched. - It will not copy values ! 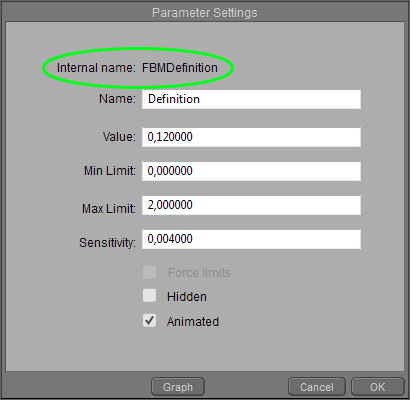 that means it will not copy the value of the morph/parameter you want to copy, you will have to set it yourself. Example : if you copy the FBM "Heavy" from BODY from figure 1 to figure 2, if the FBM Heavy value is triggered to 1 or any other value on Figure 1, it will be at 0 on Figure 2. - if a source dependency do not exist, it will be created as an empty channel (ie Internal Name as expected and Name starting with -EMPTY- followed by the Internal Name and will be hidden). This will stay that way until a future copy during the process overwrite this EMPTY parameter with the full correct informations t could stay this way if the connection has been made through the config file with the covering parameter. This is intended to manage the cross connections between dependencies and parameters. - You can choose the destination group either an existing one either a new one ! What datas will be copied ? You have 6 buttons ! For user, its simple, i tried to keep it the more intuitive way and very near to a sequence : "Click a button to COPY, click a button to PASTE"
The button will simply launch you preferred text editor with the config file in it to be modified. Line starting with '#' will give the name of the group where the morphs will be copied to. If '#' is forgotten you will have a default group created and named '>>> Your COPY'. The only pre-requisite is to have this config file filled will the morphs you want to copy. Action 2. "Copy Morphs Deltas"
Action 4. "Paste Morphs Deltas"
Action Z1. "List All Morphs"
Action Z2. "List Body Morphs"
Action Z3. "List Head Morphs"
Should work on P10/P11 (tested) on PC platform. Not tested on Mac, and as is, shouldn't work. List pre-formatted morphs on selected figure for a choosed body part. @barnardino I just D/L the script and have not tried it yet. My feedback would be thanks for making scripts! I really appreciate people making new scripts for Poser. When I get a chance to use the script, I will give my feedback on how it goes. Wow, thank you Barzing... I can't wait to give this a try! I think there is a python script that is missing. When I click on step0 which should launch the text editor and I assume create the temp file Parms2Copy.txt, I instead get an error message. I check the pz2 and saw that it is trying to run the script called "CPEditConfig.py" but no such file exists. I create the parms2copy.txt manually, it is blank initially. I click on the "Z1 - List all figure morphs" and it generates a big list in a window. I use "Select All" to copy all of the text, and paste it into the parms2copy.txt file, and save it. hip:V4LHipGluteFwd-Bkwd:1 doesn't not exist on this figure ! So I edit the parms2copy to delete this line. But then I continue to get more errors e.g. chest:V4RCllrBreast:1 doesn't not exist on this figure ! rCollar:V4RShldrDeltUp:1 doesn't not exist on this figure ! i'm going to check the Edit config pb. It's probably because i didn't initialize the file in the package. It's not a temp file, it's the config file, and will always exist. For the list of morphs, the aim is not to copy all the morphs listed by "Z1 - List all figure morphs". in the list appear some dials that probably shouldn't appear (ie all hidden dials are listed and some that shouldn't be treated). V4RShldrDeltUp:1 is probably a magnet and shouldn't appear in the list (i'm going to check it). the Lists Z1 -> Z3 are just here to help you to pick up the morphs you want to copy. But seeing your need : copy S4 morphs on SASHA-16, it's not this tool you need, because the morphs you want to copy already exist on SASHA-16. What you want is probably to copy the values. So a CTRL-C / CTRL-V on body and heads should be enough. For Rem_Dup, i'm going to check and correct. Config file Edit is corrected and should work. V4RShldrDeltUp:1 is a Magnet dial and shouldn't at anytime be copied. if i can remove it from the list morphs, i'll do it in a next version. 3- Go in "Pose\Barzing\Morphs Tools Set\Copy-Paste Morphs\Figures\Copy Paste Deltas"
6- create your copy group in first line : "#My group"
7- on next lines add the morphs you want to copy, for example "BODY:FBMGoblin"
13- find your morphs on the destination figure in the group "#My group" in this example case on BODY. Hi Barzing, thank you for the update and clarification. The quick start also helps a lot. and seems to miss the second one. This also happens for another pair of morphs under the Body too. Obviously the names of the dials are almost the same except for the end where I put _1 and _3 to separate them. It's not a standard S4 morph, so i supposed it's a custom one. Is "UpperCheeks_ReducePuffiness_3 " is the internal Name of the morph ? are an exact match for what I see on the dial name. So I am not sure why the script only finds "UpperCheeks_ReducePuffiness_1" but does not list "UpperCheeks_ReducePuffiness_3". BTW, when I am in the setting of the dial, I rename it to a new name that is shorter e.g. from "UpperCheeks_ReducePuffiness_3" to "reducepuffiness3" and just as a test I click on Z3. List Head Morphs, but it still shows the original longer name of the dial instead of the renamed dial. I even save the project, exit Poser, then run Poser again and reload the project, but List Head Morphs still lists it under its original longer name not as "reducepuffiness3", not sure why. Even though I changed the internal name, the Z3. List doesn't seem to be aware that it has changed...? what is your poser version ? can you confirm that you changed the 'Internal Name' on settings like it appears here in this example ? Z3 list all internal names of existing dials on the current selected figure's head, it's not based on any saved information. Can you check this pls, before i investing further.